September 25th, 2017 – It is with great excitement that Razor Edge Games announces a new name for our premiere title. 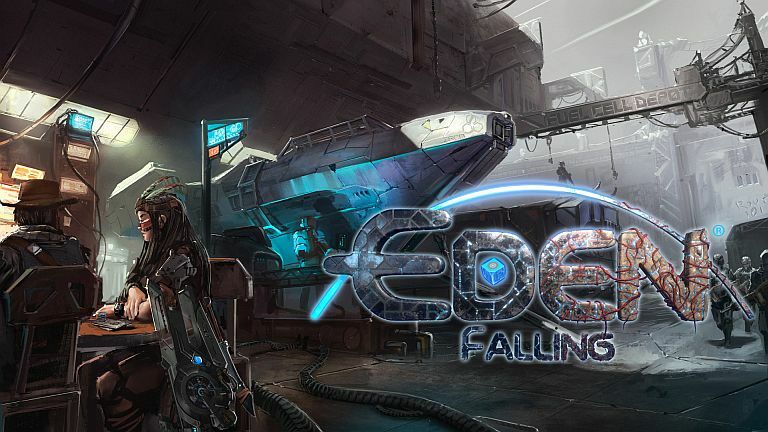 Epocylipse the AfterFall… will now be called; Eden Falling, Razor Edge Games’ premiere title will be descending upon PCs with early access starting soon! While this decision was not an easy one to make, our passion, commitment and mission remain the same: Creating Cutting Edge Games! CEO Mike Weiser and Creative Director Arthur Tomlinson have taken time to explain to the REG community why this change was made, and what’s in store for Eden Falling in the near future. We here at Razor Edge Games would like to thank both new and veteran members of our community for your continued support. Without your support, Eden Falling would not have come as far as it has. As the team moves forward and more content is released, we are confident you’ll agree that Eden Falling will provide players with a truly unique, turn based, cinematic RPG experience. Players interested in learning more, or staying up to date can receive all news and updates by joining the official Eden Falling forums at http://www.razoredgegames.com/forum, and on Facebook at https://www.facebook.com/edenfallinggame/. Player feedback will shape the game as it evolves, so fans are encouraged to follow and interact with Eden Falling. Razor Edge Games: Creating Cutting Edge Games! We strive for originality and to push the envelope on what is possible in today’s world of gaming. Delivering a quality product that is fun and entertaining is our main focus. We seek to make sure the games that we create bring people together and leave them with stories they will share for a lifetime. More information can be found at razoredgegames.com.